In recent weeks, there has been an uptick in incidents of civil unrest in Tunisia, mostly in outlying southern areas, which has resulted in service disruptions at energy projects. These events culminated in the stoppage of oil and gas production at fields in Tataouine and Kebili governorates on June 1 due to ongoing protest activity at these sites, as announced by Tunisia’s official news agency. This particular stretch of protests effectively began on April 23, when thousands of local citizens commenced a sit-in near Tataouine Governorate’s Mount Kamour, which remains ongoing at the time of writing. In this demonstration, the participants are demanding the provision of employment opportunities to the local populace at the oil facilities in the area and have been obstructing access to the oil infrastructure. The protesters are also calling for the nationalization of Tunisia’s resources to prevent foreign companies from contributing to the formers’ “marginalization”. Meanwhile, protests at similar industrial projects have proliferated in numerous areas of southern outlying Tunisia. To protect these sites from civil unrest, Tunisian Armed Forces (TAF) personnel were deployed to production installations throughout the region by President Beji Caid Essebsi on May 10. In addition, developments at Mount Kamour on May 22 provided further momentum to this wave of demonstrations, as a protester was killed after being hit by a security vehicle during protesters’ attempt to storm an oil installation. This protest was dispersed with tear gas by security forces, after which demonstrators tried to forcibly enter the Tataouine Governorate headquarters, and to burn down local police stations. Moreover, a number of the additional demonstrations that followed this incident were also broken up with force. Meanwhile, on May 13, thousands of activists marched along central Tunis’ Habib Bourguiba Avenue to denounce a proposed “reconciliation bill” initiated by President Essebsi, which would grant amnesty to approximately 400 businessmen linked to the ousted President Zine al-Abidine Ben Ali and who are facing corruption charges. Though instances of civil unrest in Tunisia’s rural areas are recorded with relatively high frequency, these latest developments, especially the events at Mount Kamour, are particularly notable, given their wide participation, their long duration, as well as for the violence recorded at some of the demonstrations. These incidents further highlight the wide view prevailing among those residing in Tunisia’s outlying areas of their perceived marginalization by authorities, whom they see as ambivalent to their capacity to earn a livelihood and to the conditions under which they live. Furthermore, despite pledges by authorities to create employment opportunities and commence development programs in outlying areas, they have thus far been unable to fulfill past promises. This precedent is liable to have prompted a sizeable number of the participants at Mount Kamour to continue their protest. Moreover, the forcible dispersals of these demonstrations are liable to have hardened citizens’ sense of marginalization. Furthermore, in light of the cessation of production at oil and gas fields in Tataouine and Kebili Governorates on June 1, such instability at sensitive economic projects carries the potential to deter foreign companies from operating in Tunisia and from investing capital in the country, which would sustain significant revenue losses to the Tunisian state, and deprive it of the capital requisite to revive the national economy. Additionally, protestors’ demand for nationalization of the country’s resources indicates an anti-foreign sentiment regarding international commercial activity in the country, which protesters view as benefiting foreign interests in cooperation with authorities, perceivably at the expense of Tunisian citizens. Thus, this view provides further impetus for staging civil unrest at projects run by foreign industry, which will likely prolong these interruptions in production. Furthermore, the spread of these protests from outlying Tunisia to Tunis indicates sympathy among the latter’s residents with those of the former, particularly given the overall poor state of the national economy, which naturally also affects all citizens. Contributing to this overall sense of economic disenchantment is the “reconciliation bill” initiated by President Essebsi. This proposed legislation is likely being pursued at this time given its potential to aid the Tunisian economy, as past measures aimed towards this desired effect have not been met with success thus far. With this in mind, authorities likely perceive that through the passing of this bill, large sums of capital that had been acquired through illicit means can be inserted into the Tunisian economy and thus provide it with a significant boost. Furthermore, by way of the stipulations in this bill, government leadership can reconcile with Tunisia’s business community, as the commercial activity of the latter, which includes accomplished veteran figures of Tunisian commerce, could be beneficial to the national economy. Thus, authorities likely perceive this bill as a novel strategy towards fostering economic growth, in lieu of the austerity measures that they have been unable to adopt. That said, as evidenced by the large demonstration held to protest this bill in central Tunis on May 13, these efforts by authorities have aggravated the sentiments of the population, who likely perceive Tunisia’s democratic transition as stagnating, and even degenerating to that of the ben Ali era. 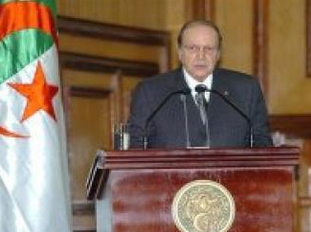 Overall, this is likely due to the fact that much of Tunisian civil society sees a reconciliation with ben Ali-era businessmen as a significant step backwards, as much of the revolutionary activity of large segments of civil society during the 2010-2011 demonstrations were organized to denounce the corruption of ben Ali. Thus, various sectors of Tunisia’s populace are liable to discern a responsibility on their part to protest against this proposed legislation, and in turn, preserve the stated principles of the Tunisian revolution, which includes transparency on the part of public officials. Furthermore, aside from seeing this legislation as sanctioning corruption, given that this bill was initiated by Essid, himself a former ben Ali official, this legislation is likely widely viewed as Essid’s sustaining of ben Ali’s corruption, thus damaging his public credibility, and that of government leadership. Regardless, authorities are likely pursuing this legislation as a last resort, as they see few alternatives towards improving Tunisia’s economy. The same can be said for the deployment of TAF personnel, who were posted to energy production sites despite the backlash liable to have been anticipated by authorities. These are the prevailing circumstances despite the ascendance of Prime Minister Youssef Chahed, who was nominated in August 2016 on a platform of economic recovery and development initiatives. Thus, challenges posed to authorities in remedying these issues largely stem from difficulties in passing much-needed austerity measures and reforms in public expenditures, which could to lend to economic growth, due to public reaction against such legislation. Taken as a whole, the unrest that is proliferating throughout Tunisia, as well as potential further public reaction to the proposed reconciliation bill, will likely lend to further instability in the country, including through the disruption of vital industrial projects. While there is no indication that the country is headed to the level of volatility seen during the country’s period of revolutionary upheaval in the earlier part of this decade, recent events indicate that the conditions that led to these events remain. Given the government’s inability thus far to foster growth in the economy and the jobs sectors, as well as the widespread public sense of dissatisfaction, additional protests will likely be witnessed in the coming days and weeks. The majority of these will likely materialize in outlying Tunisia, some of which are liable to feature further civil unrest and forcible dispersals, and will cause additional service disruptions at energy sites, while protests related to these issues will also likely be recorded in Tunis and other major Tunisian cities. Furthermore, in light of this climate of protest, seeing no recourse towards boosting the economy, authorities will likely pursue the Reconciliation Bill and other legislative measures largely viewed as negative by the public, which will also be met with protests. In turn, this will perpetuate the ongoing cycle of economic stagnation and civil unrest. Travel to Tunis may continue while adhering to all security precautions regarding militancy and civil unrest. Those operating or residing in Tunisia are advised that we maintain operational capabilities in the country. Contact us at [email protected] or +44 20-3540-0434 for itinerary and contingency support options. We currently advise against nonessential travel to outlying towns and cities in Tunisia, due to the lack of travel and tourist infrastructure and a heightened risk for civil unrest. Those operating in Tunis are advised to avoid nonessential travel to the al-Intikala, Le Kram, Ettadhamen, Ibn Khaldoun, Ennasr, Ariana, Bab el-Khadra, Mornaguia, and Manouba Districts of the capital, due to the potential for civil unrest in these areas. Furthermore, those conducting business at oil and gas fields in Tataouine and Kebili governorates on are advised to compensate for anticipated delays in operations over the coming days and weeks due to the protests at these sites, and the resultant stoppages of production at the facilities, as well as to remain cognizant of possible further cessations of production at energy projects in other governorates. According to the state news agency, clashes between militants and security personnel in Sidi Bouzid which commenced during the morning hours of April 30, had concluded in the late afternoon hours. According to the source, in addition to a militant who previously died when detonating an explosive belt and another who was fatally shot by security forces, four other militants were arrested, while no casualties were inflicted on security personnel. Initial reports suggest that one of the militants who was killed was “an emir of Okba Ibn Nafaa Brigade (OIB)”, referring to the local affiliate of al-Qaeda in the Islamic Maghreb (AQIM), and that the cell had “capitalized on civil unrest to infiltrate the area, and had planned to conduct an attack during the month of Ramadan”. While complete details surrounding the incident have yet to fully emerge at the time of writing, the incident is highly notable due to the reported use of a suicide belt, which indicates a relatively high-level of sophistication and the capabilities of the militants, as well as a likely desire to conduct a high-profile attack. That being said, as no casualties were caused to security forces, as well as the fact that the incident itself took place in a remote location and appeared to not have been aimed at a notable target as would be expected in such an attack, indicate that the incident was not the attack meant to be carried out by the militants. Instead, it is more likely that security forces detected the militants when the latter were still ahead of launching their intended attack, and targeted them, thus forcing them to react, foiling the originally planned militant operation. These developments, in turn, underscore the relatively high capabilities of Tunisian security forces, as they were able to detect and confront the militants, likely foiling what would have been a large-scale attack. Furthermore, given that there were several militants involved in the incident, it is possible that their plan involved conducting a multi-pronged attack involving a suicide bomber as well as small arms fire, thus maximizing the potential level of casualties. Furthermore, despite the location in which the incident took place, it cannot be ruled out that the militants were using the area for staging purposes prior to locating to a different part of the country where the actual attack would have been conducted, which could have included a central city in the country or a soft target, such as a tourist locale or strategic infrastructure. Moreover, the incident serves to underscore the persistent underlying threat of militant attacks in Tunisia, presented by the Islamic State (IS) and AQIM through its local affiliate OIB, who both have a known physical presence in the country. This threat is further manifested in frequent arrests of militants of various capacities throughout the country, as well as less frequent attacks conducted in the outlying areas of the country, which are mostly aimed at security forces and related targets. With this in mind, such a persistent entrenchment of militants in Tunisia, despite efforts to the contrary which include a nationwide ongoing state of emergency, are the result of three main factors in particular. First, the populaces’ growing susceptance to radicalization, particularly in the outlying areas of Tunisia, which is a result of prolonged economic difficulties and growing disenchantment with the events following the 2011 revolution due to a perception of marginalization by the government. This allows for a large pool of potential recruits for militant groups, but also logistic support to active cells, which facilitate their operations within the population’s midst. Second, the terrain in which militant groups operate, which largely includes mountains and dense vegetation, making it harder to detect militants and providing them with an advantage when attempting to avoid or confront security forces. Third, the porous borders with Libya and Algeria, in which both AQIM and IS have a presence, which allows militants to transfer fighters and weapons into Tunisia to support their efforts in the country. Taken as a whole, the development is indicative of the intentions of militants to conduct a high profile attack in Tunisia, likely as part of their interest to expand their operations in the country and assume a more prominent role in it. This coincides with a similar process witnessed in Algeria, and likely stems from the ongoing regional competition between IS and AQIM over dominance of the Jihadist landscape, which will grant either of the group’s leverage when vying for their shared resource pool, namely potential recruits, funds, and popular support from the global radicalized Islamist population. FORECAST: With this in mind, given the persistent threat of militancy in the country, coupled with the reported arrest of several of the militants who may provide valuable intelligence information, the Tunisian security forces are liable to launch additional arrest raids throughout the country over the coming days and weeks in order to further mitigate this persistent risk. Nonetheless, given the proven high motivation and capabilities of militants, the manifestation of a successful high profile attack occurring again in Tunisia over the coming weeks and months cannot be ruled out. Travel to Tunis may continue while adhering to all security precautions regarding militancy and civil unrest. Those operating or residing in Tunisia are advised that we maintain operational capabilities in the country. Contact us at [email protected] or +44 20-3540-0434 for itinerary and contingency support options. We currently advise to maintain heightened vigilance in Tunisia’s coastal areas while avoiding nonessential travel to other outlying towns and cities due to the lack of travel and tourist infrastructure and a heightened risk for civil unrest and militancy. In addition, avoid nonessential travel to the vicinity of government and security installations, as well as political meetings, while maintaining heightened vigilance in the vicinity of hotels and touristic sites, due to the potential threat of militant attacks against such locales. Avoid all travel to the Kasserine, Kef, and Jendouba Governorates, in addition to all border areas, due to jihadist activity and military closures. Furthermore, avoid all travel to within 50 km from the border with Libya, due to the increased threat of attacks originating from Libya targeting Tunisian interests. 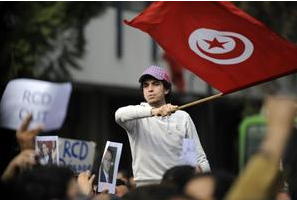 Following the Tunisian Revolution in January 2011, the country has been led by six different Prime Ministers, and has been under Prime Minister Youssef Chahed since August 27, 2016. Chahed followed his predecessor’s dismissal in a parliamentary no-confidence vote due to, among various reasons, his inability to successfully impose economic reforms. 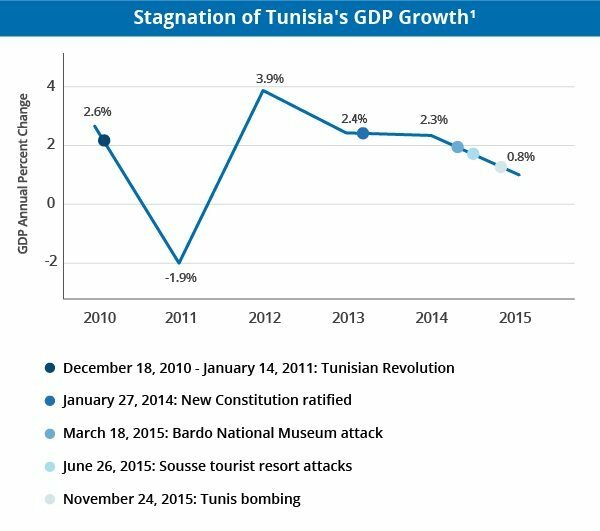 Since the Tunisian revolution, a continued trend of weak governance and ineffective reform has continued to inhibit Tunisia’s economic growth. In this context, Tunisia’s economy continues to struggle as nationwide unemployment has climbed to nearly 16%. Additionally, Tunisia has experienced a sharp contraction in foreign direct investment, which reportedly fell by approximately 57% from 1.58 billion USD in 2011 to 904 million USD in 2015. 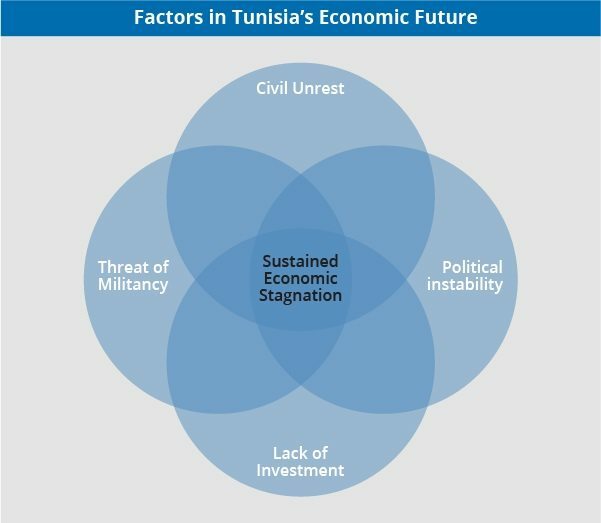 As discontent grows among citizens regarding perceived marginalization by government policies and a lack of economic opportunities in outlying areas, incidents of civil unrest, which have generated disruptions in Tunisia’s most vital economic sectors including the oil and phosphate industries, continue to be reported on a relatively frequent basis. Such repeated incidents portray Tunisia as having an unstable environment in which to conduct business for current and potential foreign investors. This ultimately perpetuates the continued decline in foreign direct investment, resulting in negative consequences for possible economic development. In addition, militant activity in Tunisia continues to drive away both foreign investors as well as potential tourists, further hindering the country’s economic progress. To this end, the country experienced multiple, highly notable militant attacks during the course of 2015. The first attack occurred at the Bardo National Museum in the capital city of Tunis on March 18, 2015 which left 22 dead, the majority of which were European tourists. Three months later, 40 tourists were killed in a June 26, 2015 attack targeting two resorts near Sousse. Following this, on November 24, 2015 at least 12 security personnel were killed is a suicide bombing attack targeting a bus carrying members of the Tunisian Presidential Security in Tunis. Finally, on March 7, 2016 militants attacked security forces in southeastern Tunisia’s Ben Guerdane, which subsequently developed into intermittent, high-casualty clashes between militants and security forces in the area over the following days. These led to direct and damaging impact on the country’s economy, as clearly demonstrated by the drop in foreign tourism and foreign investment in recent years following the attacks, after an initial clime following the Tunisian revolution. While a slight uptick of direct foreign investment in the energy and manufacturing sectors may be noted due to eased restrictions under newly introduced investment legislation, a major influx in foreign direct investment in the coming months is not likely given Tunisia’s enduring political instability and civil unrest. Similarly, unless government leaders are able to compromise with Tunisia’s labor unions, economic restructuring and resulting economic growth will be nearly impossible. Given precedent and the lack of progress in reaching a workable agreement between the parties, as well as the threat of severe, widespread civil unrest should the government attempt to enact a labor measure unilaterally, we assess that such progress remains unlikely in the near future. Job opportunities and related secondary economic activities in the tourism sector are also unlikely to experience significant expansion in the immediate future due to continued economic stagnation. As a result, we assess that the category’s current contribution to the country’s GDP at approximately 7%, or around 3.1 billion USD using 2015 figures, will likely remain stagnant or experience modest growth of one to two percentage points, reaching an average of 3.7 billion USD (given an estimated 2.5% GDP growth rate in 2016). Taken as a whole, considering Tunisia’s relative political instability and ineffective governance across the board, persisting country-wide civil unrest and high threat of militancy, we assess that in the coming months Tunisia’s economy is unlikely to either surpass or deteriorate from its present state. Furthermore, substantial economic growth in the country will remain considerably handicapped until the administration attains enough authority to implement significant reforms fostering an increase in both domestic prosperity and foreign investment. Although following the Tunisian revolution, Tunisia has been hailed as an emerging model of democracy in the region, the country’s aspiration to develop a stable and inclusive democratic government has yet to be fully realized. After the ousting of President Ben Ali in January 2011 and the subsequent resignation of Prime Minister Mohammed Ghannouchi shortly thereafter, six Heads of Government have been installed, each serving an average of approximately 13 months in office until their eventual resignation or replacement by Parliament vote. With such frequent changes in leadership, the government is effectively operating in “short-term mode,” which presents a significant obstacle in implementing the much needed long-term, sustainable economic solutions that would, for example, increase domestic employment or attract foreign direct investment. We assess that such frequent changes in leadership further serve to deter foreign investment, as the slew of administrative transitions since the Tunisian revolution create the perception of political instability in the country. Under these conditions, potential investors likely fear that agreements made under one government may be disregarded by successive governments, causing significant damage to the businesses. In this context, on September 17, 2016 Tunisia’s parliament approved a new investment law which will reportedly ease bureaucratic restrictions in an attempt to present a more stable model of economic conduct and attract more foreign investors. Such a cycle of leadership changes does little to ensure an investment’s security and in effect likely deters new investments. An additional primary force dissuading foreign investment is the recurrent acts of civil unrest due to the general anti-government sentiment and high rates of unemployment across the country, particularly in outlying areas where industrial production is often based. To this end, during the month of September, a British gas company declared a temporary force majeure on the Chargui gas field in Kerkennah Island and Canadian oil company employees held a sit-in at the company’s headquarters and oil fields in Tataouine Governorate, underscoring the significant impact of such incidents on foreign business continuity in the country. Due to repeated work-stoppages and protests over the last year, the phosphate industry reportedly suffered a 4.5 billion USD operational loss, while over 4.9 billion USD were lost as foreign companies have divested from the economy. Such activity places a major obstacle before foreign entities who may consider investing in Tunisia, as the country’s ineffective system of governance as well as pervasive unemployment and the resulting anti-government sentiment does not provide an environment ripe for economic opportunity and investment security. Current Prime Minister Youssef Chahed has promised major economic progress to come under his leadership, citing a need to crackdown on country-wide protests, and to implement austerity measures including pay cuts and tax hikes, likely in order to satisfy the requirements that come along with the 2.9 billion USD IMF loan granted to the country in June 2016. In this context, public sector salaries in Tunisia accounted for 38% of the 2015 budget and 13.5% of the country’s GDP, one of the highest proportional costs in the world. To this end, Chahed imposed a 30% pay cut to ministerial salaries in September 2016, and reportedly plans to extend similar cuts to other employees in the public sector. However, regardless of Chahed’s desire to impose such measures, broad public income cuts and other austerity measures have proven to be unachievable given the strong position of labor unions, primarily the dominant Tunisian General Labor Union (UGTT), which exists as a major force in representing citizens’ and workers’ rights in the country, often in opposition to government policy and directives. This conflict was clearly demonstrated on October 6 when the UGTT Secretary General openly asserted that the union would reject any delay or cancellation of wage increases in response to Chahed’s call to put such salary raises on hold as part of a public sector income freeze. Furthermore, on October 20, the UGTT threatened to stage mass protests in response to the the proposed 2017 budget which included measures such as delayed wage raises and new taxes on doctors and lawyers. While Tunisia’s administration understands these measures to be crucial in revitalizing the country’s economy, sections of the public as well as the labor unions strongly oppose the measures which they view as policies against the interest of Tunisian citizens and laborers. In this context, the ongoing disputes between labor groups and the government present a significant obstacle to initiating sustainable economic development in the country. Following the aforementioned four large scale militant attacks in 2015-2016, foreign tourism in Tunisia has dropped by a reported 46% in 2016, with a 48% decline in European tourism overall. Despite significant declines in the conventional European tourist market, an increasing number of Russian and Algerian tourists have been recorded over the past year. However, the tourism sector which provided 400,000 direct and indirect jobs at its height, is unlikely to make a prominent recovery in the near future given the enduring perceived threat of militancy targeting European tourists. Such sentiment is clearly demonstrated by the October 6 announcement from a major UK-based tour operator that has cancelled all services in Tunisia through October 31, 2017. Furthermore, the UK’s Foreign Foreign and Commonwealth Office’s (FCO) current recommendation advises against all but essential travel to Tunisia, further amplifying the perceived danger in the country. In this context, while we assess that Tunisia’s tourism industry may experience a gradual recovery over the coming year as it becomes farther removed from recent attacks, and depending on its ability to effectively combat the enduring threat of militancy in the country, it is likely that the sector’s growth will remain limited given the reluctance of Europeans, the bulk of available foreign tourism in the region, to travel to the area thus further hindering potential economic growth. Furthermore, as the cyclical nature of Tunisia’s economic deterioration is perpetuated, it remains likely that local support for militants will continue to grow as some sectors of the population feel that such activity is the only way to take action against the government which they perceive to have implemented policies of marginalization and economic oppression, thereby possibly exacerbating the challenges facing the country. Travel to Tunis may continue while adhering to all security precautions regarding militancy and civil unrest. Those operating or residing in Tunisia are advised that we maintain operational capabilities in the country. Contact us at [email protected] or +44 20-3540-0434 for itinerary and contingency support options. We currently advise against nonessential travel to outlying towns and cities in Tunisia, due to the lack of travel and tourist infrastructure and a heightened risk for civil unrest and militancy. Furthermore, avoid all travel to within 50 km from the border with Libya, due to the increased threat of attacks originating from Libya targeting Tunisian interests. Those operating in Tunis are advised to avoid nonessential travel to the al-Intikala, Le Kram, Ettadhamen, Ibn Khaldoun, Ennasr, Ariana, Bab el-Khadra, Mornaguia, and Manouba Districts of the capital, due to the potential for unrest as well as militant activities. On June 26, a militant disguised as a tourist came ashore the beach at Sousse’s Port el Kantaoui, drew an assault rifle hidden in a beach umbrella and opened fire, deliberately targeting foreigners. 38 tourists hailing from the UK, Ireland, Germany, Belgium, Russia, and Portugal were killed, while 39 individuals were wounded, including seven local employees. The attack was subsequently claimed by the Islamic State (IS) organization, and seems to indicate the group’s intention to lay the foundations towards an eventual expansion of its operations in Tunisia. Worryingly, IS’s plans may actually benefit from the Tunisian government’s response to the attack, as the emergency measures being undertaken to “defeat terrorism” also alienate the population and may serve to weaken the government’s legitimacy. In the immediate aftermath of the Sousse shooting, Tunisian President Beji Caid Essebsi initiated an emergency plan intended to reduce the threat of militancy in the country. The plan included closing down 80 mosques perceived as “inciting to violence”, offering cash rewards for information that will lead to arrests of “terrorists”, calling up the Tunisian Armed Forces (TAF) reserves to intensify counter-militancy operations in the outlying regions of the country, as well as bolstering the deployment of security forces near prominent tourist attractions and beaches. Moreover, on July 4, Essebsi declared a 30-day state of emergency for the first time since March 2014. The state of emergency allows the government to restrict freedom of movement, freedom of gathering, and grants it the authority to seize goods and to close down places of business. In his speech to the nation, Essebsi justified his decision by stating that Tunisia is in a “state of war” and that “one more attack may cause the state to collapse”, while also criticized demonstrations that disrupt the production of phosphates as helping the militants’ agenda by discouraging foreign companies from investing in the country. The June 26 attack in Sousse represents the second large scale militant attack in Tunisia claimed by IS, following the Bardo Museum attack in Tunis, and the largest one in the country to date. This, in turn, points towards a growing interest by IS in carrying out high-profile attacks in Tunisia, with the aim of deterring tourism and foreign direct investments, in order to destabilize the country’s economic situation. 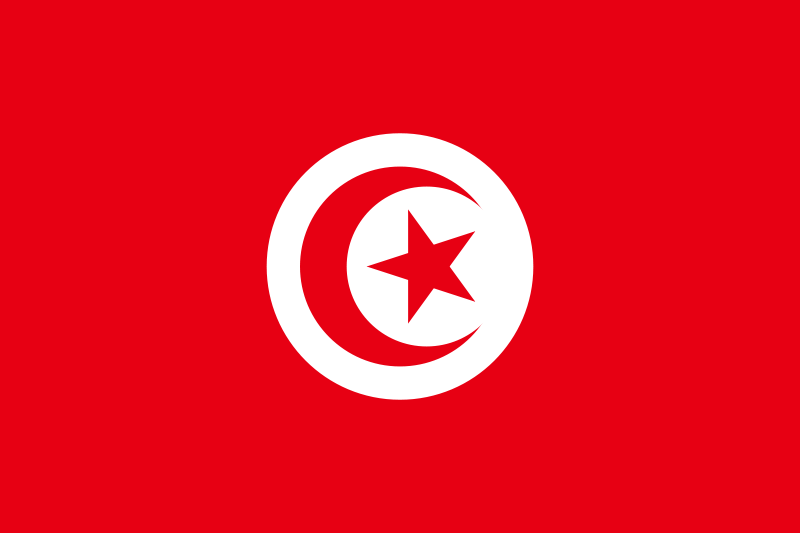 Moreover, given Tunisia’s successful democratic transition following the parliamentary and presidential elections in 2014, it is likely that IS is intentionally attempting to provoke a reaction from the government, much like the state of emergency, that will be perceived by the citizens as infringing on their rights, thus further destabilizing the political and social situations as well. This was already seen in early July when clashes between security forces and local residents manifested as the former attempted to close down a mosque. Should IS be successful in its plan, it will allow the group to broaden its foothold in the country through the outlying regions, where citizens already feel marginalized by the government given the high unemployment rates, poor infrastructure, and lack of government investments in these areas. Such regions are already considered strongholds for militant groups, in light of their favoring terrain and population, as well as proximity to the borders, which allows for cooperation with groups in neighbouring Algeria and Libya, as well as for escape routes in times of attacks. That said, and despite the relative success of the attack in Sousse, it was probably conducted by supporters of IS, who were directed by officials from the organization to target tourists in Tunisia during Ramadan, but were relatively independent in implementation. This is based on the fact that the attack, much like the one in Bardo, was conducted by a single assailant with relatively simple means, and did not involve high grade explosives, a sophisticated and complicated plan, or other advanced capabilities. While such modus operandi is rare for groups that are considered an integral part of IS, it is common for those that aren’t yet accepted by the central organization as an official IS group or “Wilaya” (Province). With this in mind, it is possible that the Bardo and Sousse attacks were also meant as a “show of force” by these local supporters, in preparation for a future pledge of allegiance to IS’s leader, Abu Bakr al-Baghdadi, and induction into the organization. In this context, despite the likely long-term plans IS has for Tunisia, it is still in preliminary stages and far from commencing, particularly as the group currently views Libya as its top priority in the region. With this in mind, IS will invest more resources to compensate for its recent loss of Derna, the group’s first stronghold in Libya which is also perceived by it as its “capital” in the region, as well as to further expand its territory there, rather than in supporting efforts in neighboring countries like Tunisia. Thus, the Sousse attack was likely part of IS’ attempts to lay the foundations for expansion in Tunisia and further efforts to destabilize the country, which will be implemented by the group when it deems the timing is right. Overall, while security forces have generally proven their ability to foil plans of attacks against foreign and civilian targets in the past, and that the emergency measures are liable to upgrade their capabilities in the short term, some of the measures of Essebsi’s emergency plan, as well as in the declared state of emergency, may antagonize the population. This may cause more grievances between it and the government and ultimately make the plan counterproductive, as it may drive some locals to lend more support to the militants in the long-term. 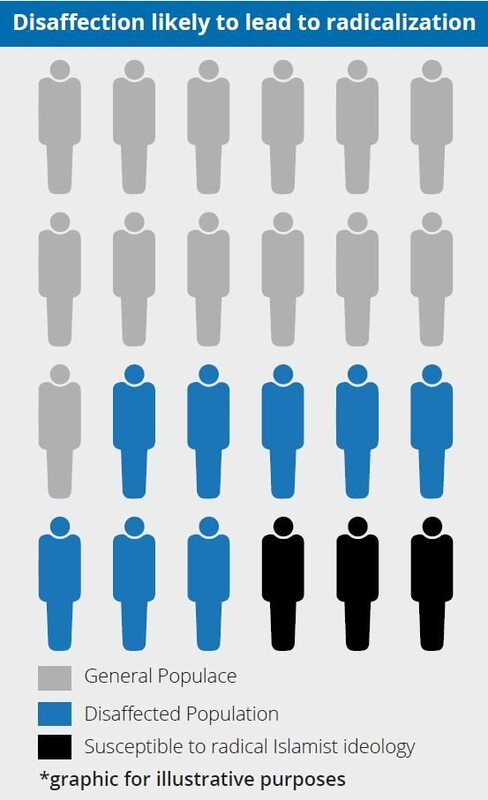 However, while only a relatively small portion of the population is expected to actively support the militants, among the remainder of the population, opposition to the government will substantially grow in light of the perceived violations of their civil rights. 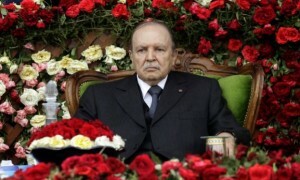 Thus, Essebsi’s plans may in and of themselves pose additional challenges to the stability of the state. Essentially, the Tunisian government is sacrificing its viability and credibility as the one true success story of the “Arab Spring” for a questionable addition to its immediate security, a move that may turn out to be a shot it the foot. ounced that security forces in the Chaambi Mountains were “gaining ground” against jihadists located in the region, as the military started joint operations involving both ground forces, fighter jets, and helicopters, as well as artillery and mortar shelling. According to the statement, the goal of the operations is to seize control over the entire area that fell under militant control in 2012. 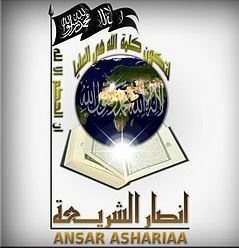 Such militant groups include the Okba Ibn Nafaa Brigade, as well as Ansar al-Sharia in Tunisia (AST) and al-Qaeda in the Islamic Maghreb (AQIM), with AST considered the most active of the three in the country. On April 11, the Tunisian President extended the closed military zone in Chaambi to neighboring mountains of Sammama, Salloum, and Meghila while on April 16 ground reinforcements were reportedly sent to the region. On April 21 Prime Minister Mehdi Ben Jemaa pledged to eliminate jihadist groups threatening the country while stating that security forces were “moving to the highest point of the mountains”. On May 6 during a visit in the region, President Moncef Marzouki offered amnesty for jihadists “without blood on their hands”. On April 18 following clashes with militants and security forces in the region, an officer was killed during the explosion of a mine as he and three other soldiers were patrolling the area in a military vehicle. 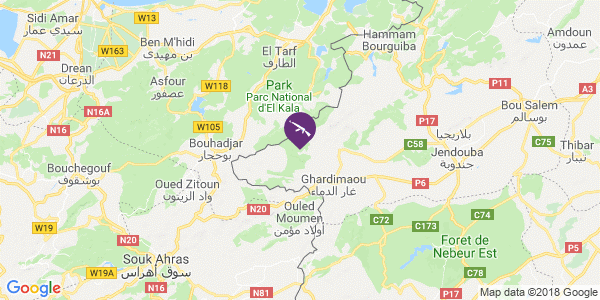 The Tunisian air force then carried several airstrikes on suspected militants positions in the region, while clashes were reported outside the closed military zone, near the industrial area in Kasserine on April 23. The operation follows intermittent artillery strikes on the area on April 9-11, March 25, February 4-6 and December 31-January 1. However, following deadly clashes between Tunisian ground forces and militants in August 2013, ground operations were halted. According to an April 28 official government statement, Tunisian anti-terrorist brigades arrested nine suspected jihadists following a security raid in Douar Hicher in the La Manouba District and in the Ettadhamen District near Tunis. According to a communique published by the Interior Ministry, the suspected jihadists were reportedly planning attacks and are linked to other wanted militants remaining at large. Liberal activists protest outside of the Assembly house in Bardo. Ennahda’s primary challenge to ensuring stability is improving the economy. After months of uncertainty and fears of an Islamist takeover after elections, the nation which kicked off the “Arab Spring” is finally showing signs of stability. The National Constituent Assembly (NCA) led by the moderate-Islamist Ennahda party, recently concluded a weeklong marathon session, establishing bylaws and electing the President. In the capital, signs of tension have been limited to protests by fringe liberal and Islamist groups, each fearing that the country’s leadership will not work to ensure their respective ideologies. Unfortunately, the recent calm in the capital is by no means guaranteed, and the dire economic situation is already starting to stir anger beneath the surface. Tunisia is unique to the Middle East and North African region for its societal views on political Islam and adherence to liberal culture. The main dividing issues in the recent elections were economic policies and the role of religion in governing affairs, making Tunisia’s political discourse more comparable to that of Western Europe than North America. Like in the West, it will be the current government’s economic policies- not its religious ideology that keeps it in power, meaning that the ruling coalition only has one year to improve the situation before the next round of elections are slated to be held. Hey Buddy!, I found this information for you: "Stability in Tunisia- “It’s The Economy Stupid”". Here is the website link: https://www.max-security.com/reports/stability-in-tunisia-its-the-economy-stupid/. Thank you.